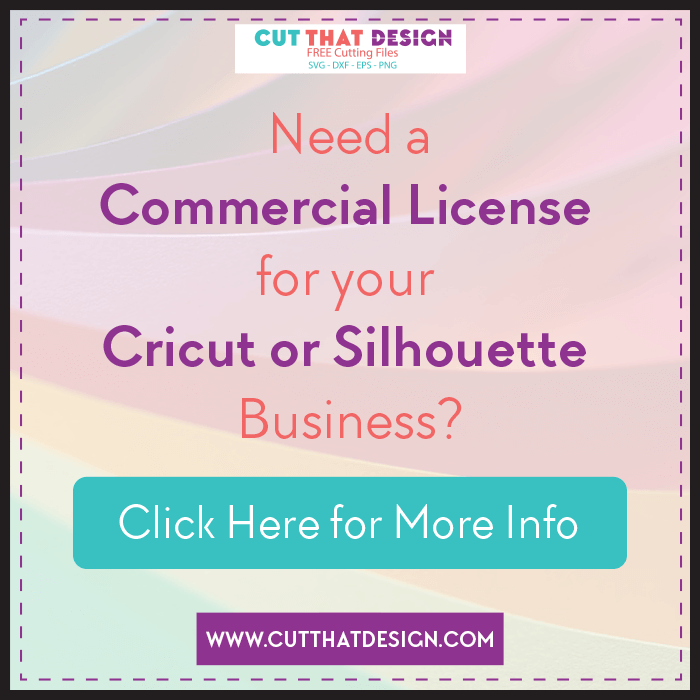 In this tutorial I will be showing you how to Create a Split Letter Monogram in Cricut Design Space. Here we will be using the Slice and Weld tools. 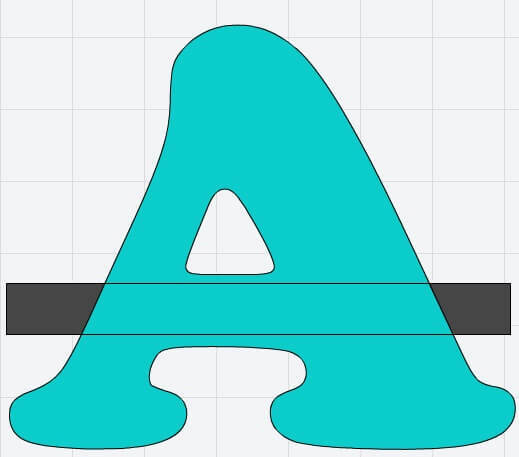 Uploading your font as an SVG, and not sure how? 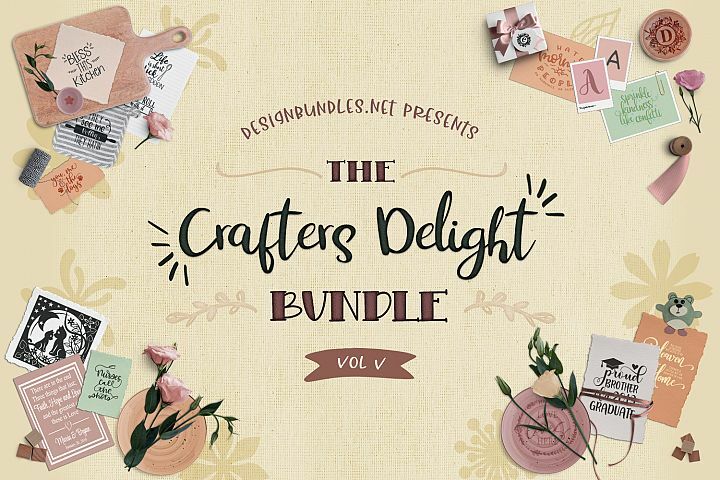 Click here to learn how to open your SVG Files in Cricut Design Space. Using the Add Text Tool, Select the font you want to use, I’ve chosen Cooper Black from my system fonts, Type in the white box as shown (Don’t worry about adjusting the size as we can do this on the canvas). Once you have the Letter you want to work with, click anywhere one the canvas, the white box will disappear and you will be left with the letter you’ve just typed. To adjust the size, click on your letter so the bounding box appears, then click and drag the blue circle with the arrows, located to the bottom right of the bounding box. This will allow you to adjust the size of the letter. 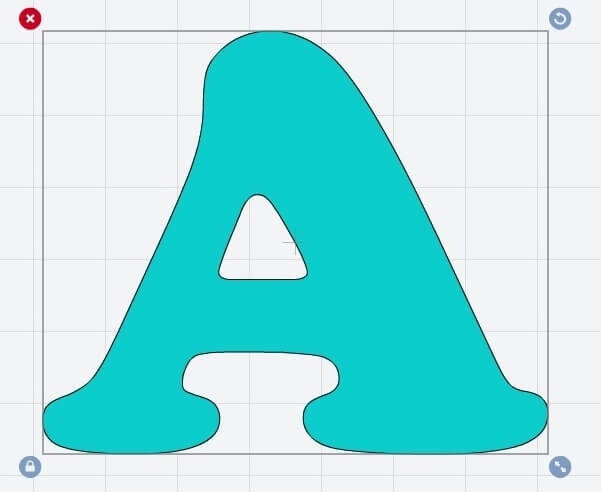 I have adjusted my letter ‘A’ to approximately 7 inches in height. Next select the ‘Insert Shapes’ option and click on the square, a square will appear on the canvas like the one below. Now we want to turn the ‘Square’ in to a rectangle, to do this click on the circle to the bottom left of the squares bounding box, it’s the one that is a blue circle with a lock. If the lock looks like it does in the below image, click on it, if it looks as though the lock is open, you won’t need to do anything. This adjusts whether you want to keep the aspect ratio or not. After slicing and deleting, you will be left with something that looks like the image on the left, if you are happy with that, you can go ahead and add your text of choice. To add a bit of extra to it we can use the ‘Insert Shapes’ tool and weld tool to add lines as shown below, draw two rectangles using the ‘Insert shapes’ tool, again the size is you preference, and position them at the edges of the split, and line them up so both sides match, as shown in the below image on the right. 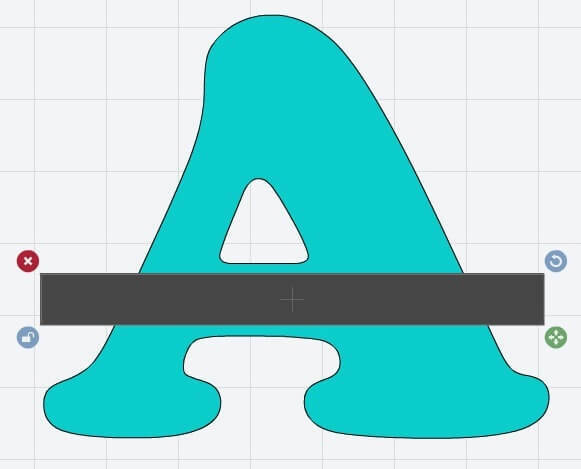 Now you can use the weld tool to weld the letter with the rectangles. Select all, and either click on the weld tool on the layers panel (which is located next to the slice tool), or your can right click on your selected images and click on weld. You will now have something that looks the image on the below right. 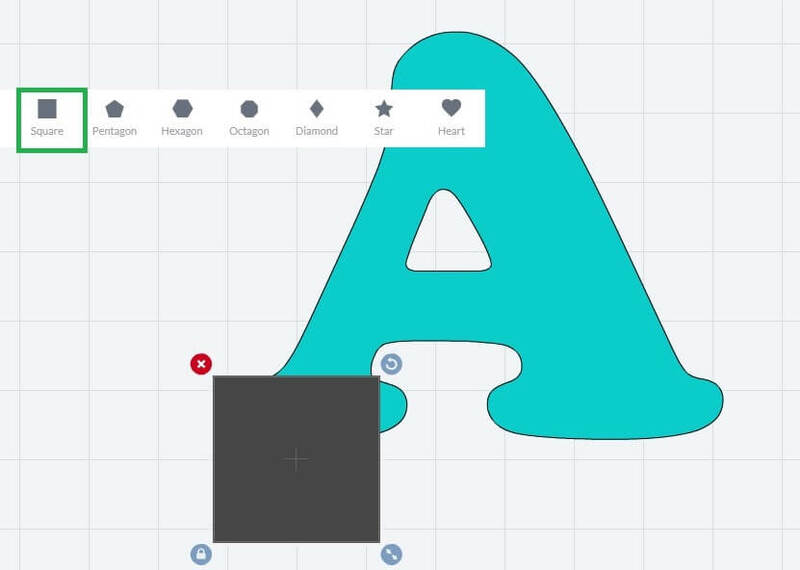 Add your preferred text using the Add Text tool, move the text to the centre of your split letter. Once you are happy with the positioning, you are almost ready to cut. There’s one last thing you need to do before clicking the Go button. 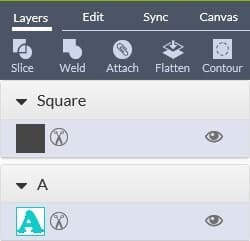 Select all, and select attach, attach is located next to the weld and slice tools in the layers panel, or again, you can right click on your selected images and click attach. Now you can press GO. 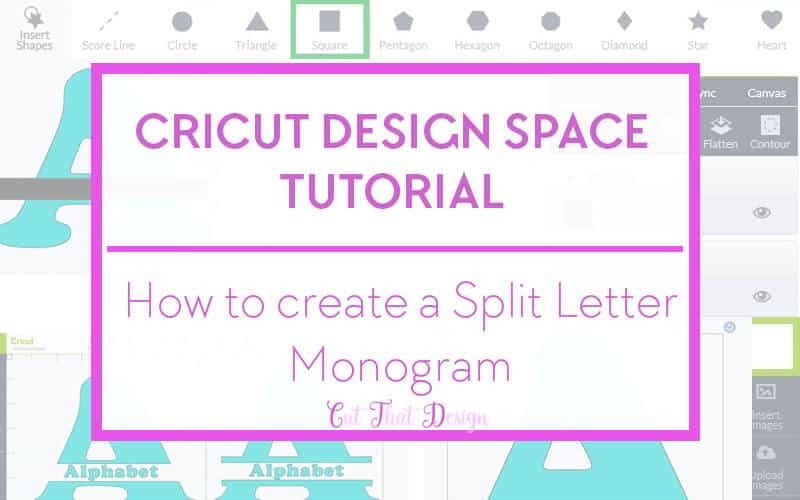 I hope this tutorial has helped you to Create a Split letter Monogram in your Cricut Design Space Software.